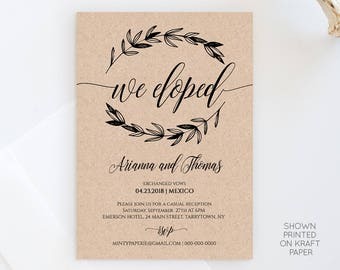 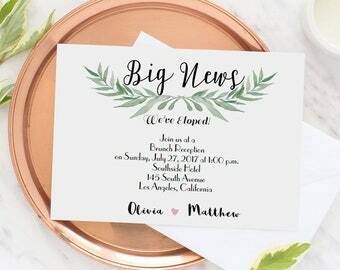 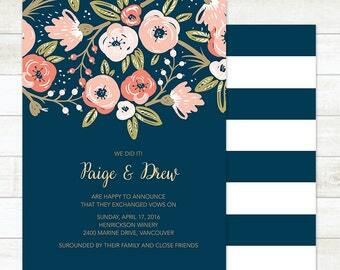 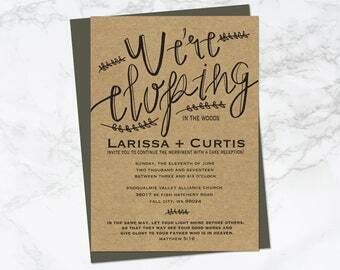 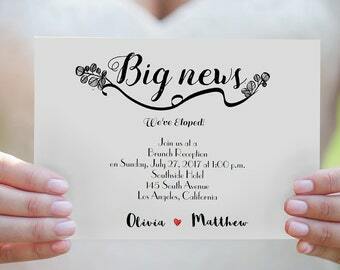 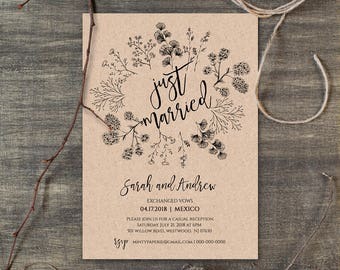 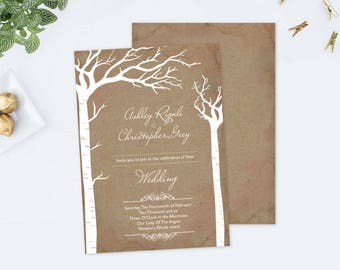 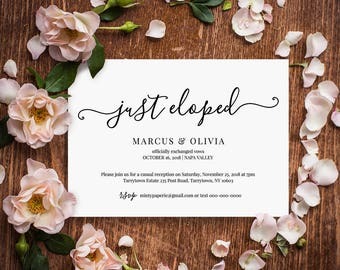 Wedding Elopement announcement Template, Rustic PrintableJust Married Elope Announcement, Printable Editable INSTANT DOWNLOAD Kraft. 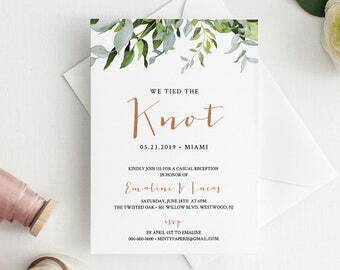 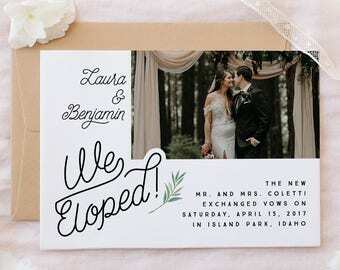 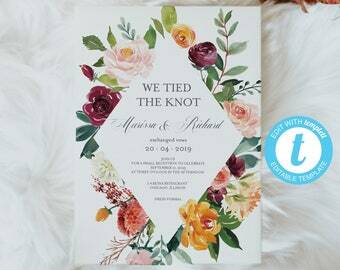 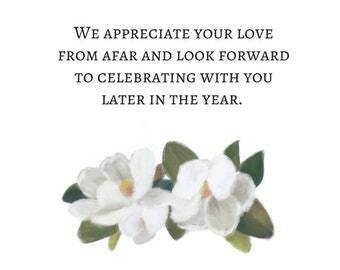 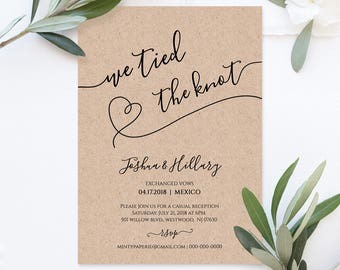 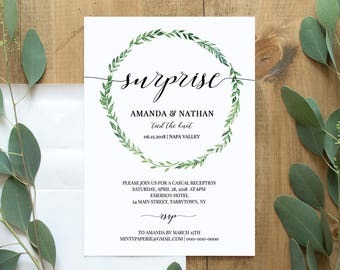 Wedding Elopement announcement Template, wood string light PrintableJust Married Elope Announcement, Printable Editable INSTANT DOWNLOAD. 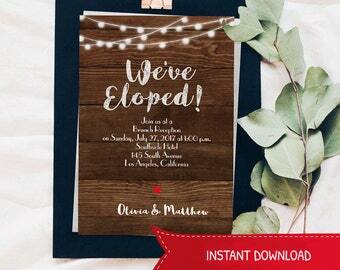 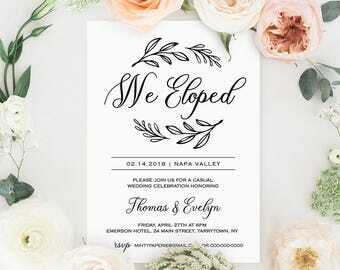 Wedding Elopement announcement Template, Rustic Printable Just Married Elope Announcement, Printable Editable INSTANT DOWNLOAD Kraft.